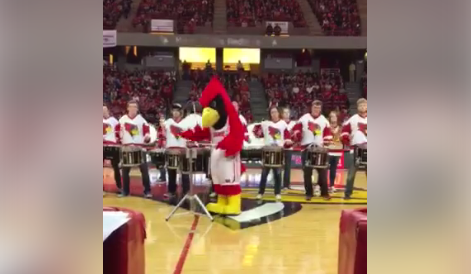 Reggie Redbird from Illinois State is quickly climbing the charts as our favorite mascot in the NCAA after video emerged of his performance with the Illinos State drumline at a basketball game last week. Could it be that the mascot was once a member of the band? We want details people! Who is Reggie Redbird!? !